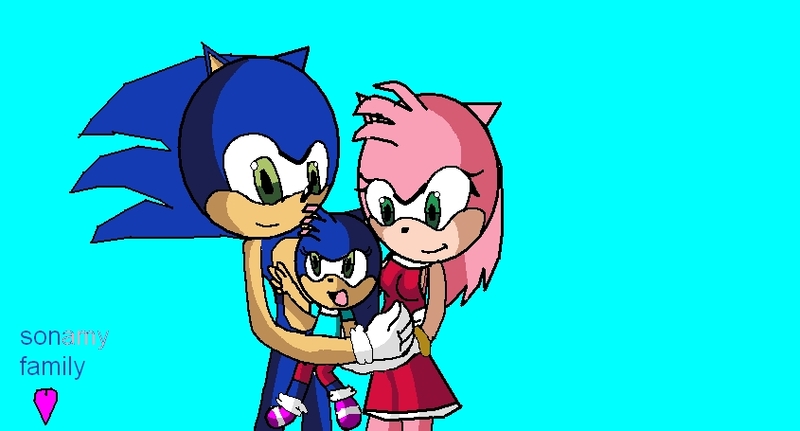 sonamy family. this is sonic and amy with there daughter roseatta. Wallpaper and background images in the SonAmy club tagged: sonic amy sweet sonamy. This SonAmy photo contains anime, bande dessinée, manga, and dessin animé.